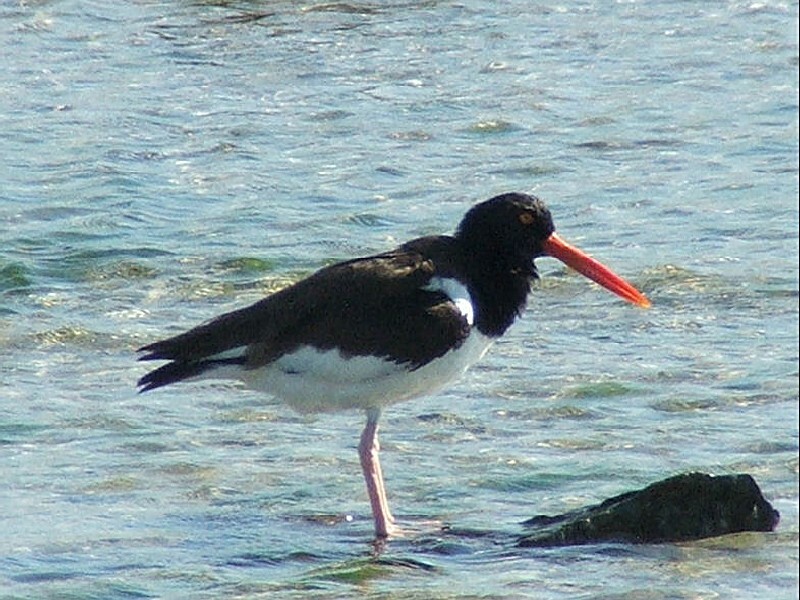 Barnegat Lighthouse State Park is an excellant area to observe many species of birds during the spring and fall migrations. A New Jersey Division of Fish and Wildlife program provides seasonal fencing of critical nesting areas on the beach adjacent to the park. This provides protection for certain endangered beach nestings birds and opportunities for observation. The park also is a great location for viewing wintering waterfowl such as red-breasted mergansers, common eiders and harlequin ducks. The park sponsors several waterfowl viewing programs throughout the winter. Call the park office at (609) 494-2016 for the current schedule. The Maritime Forest Trail in a 1/5-mile long, self-guided loop through one of the last remnants of maritime forest in New Jersey. The forests, which is dominated by black cherry, sassafras, eastern red cedar and American holly, is an important resting and feeding area for migratory birds on their long journey to and from their breeding sites. 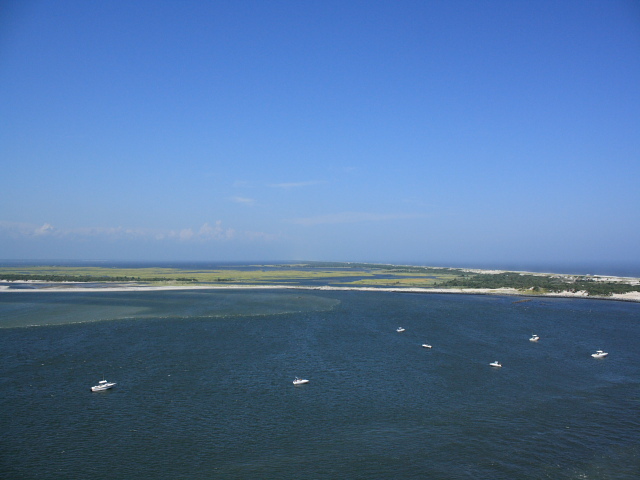 Saltwater anglers have access to the bulkhead along the picnic area where they can catch striped bass, bluefish, weakfish, summer flounder, tautog, winter flounder, and black sea bass. A 1,033-foot concrete walkway with handrails on top of the south jetty provides fishing access for people with disabilities. The picnic areas are also accessible for people with disabilities. Picnic tables are located along Barnegat Inlet where visitors can picnic, relax, and observe the waterway. Two picnic shelters with tables are also provided for picnicking. Visitors who enjoy sunbathing and fishing can picnic on the sand along the jetty. Fires, propane stoves, and alcoholic beverages are prohibited. One of the last remnants of maritime forest on Long Beach Island is found at Barnegat Lighthouse State Park. The forest, which is dominated by Black Cherry, Sassafras, Eastern Red Cedar, and American Holly, is an important resting and feeding area for migratory birds on their long journey to and from their breeding sites. The Maritime Forest Trail is a 1/5-mile long, self-guided loop trail through this unique environment. 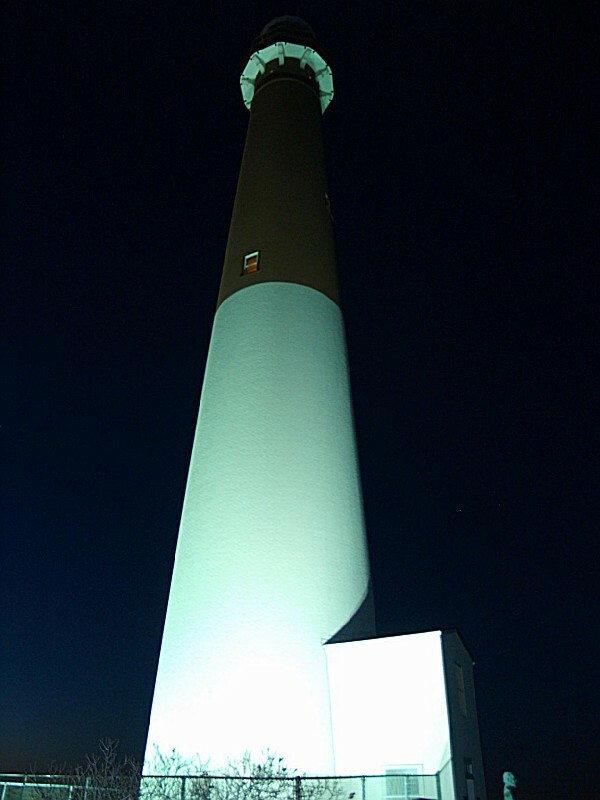 The beloved Barnegat Lighthouse is shining again, as it was illuminated on January 1, 2009 - exactly 150 years to the day that it was originally lit in 1859. 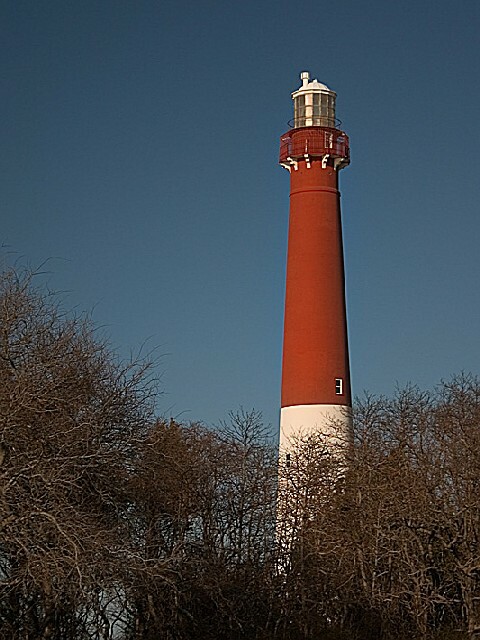 Thanks to the Friends of Barnegat Lighthouse, the nonprofit group dedicated to preserving and promoting the park, funds were raised to purchase a new Coast Guard-approved lens. The new light creates a single beam that can be visible for up to 22 nautical miles. 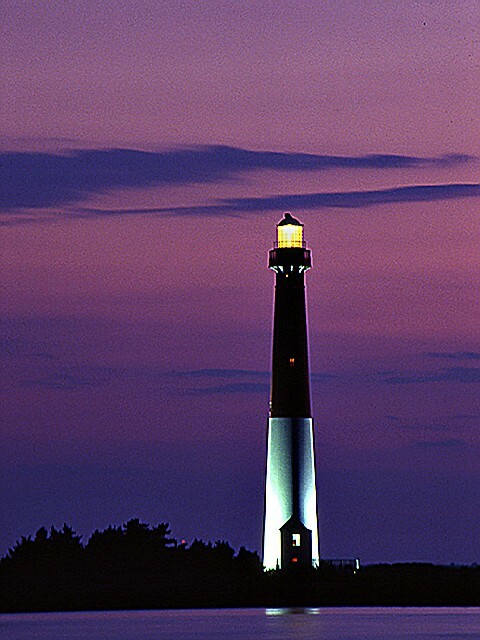 In 1927, the original lens was removed, and was replaced by a lightship anchored off the coast of Barnegat light. The original lens is still on display down the road at the Barnegat Lighthouse Historical Society's Museum. 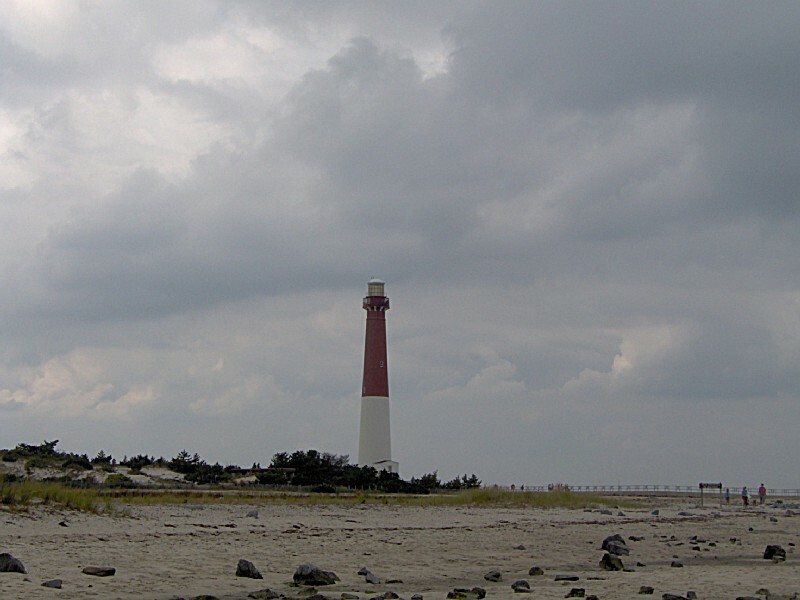 A panoramic view of Island Beach, Barnegat Bay, and Long Beach Island awaits visitors at the top of Barnegat Lighthouse. The lighthouse is open daily from 9 AM to 4:30 PM (weather permitting) from April 1 through October 31. 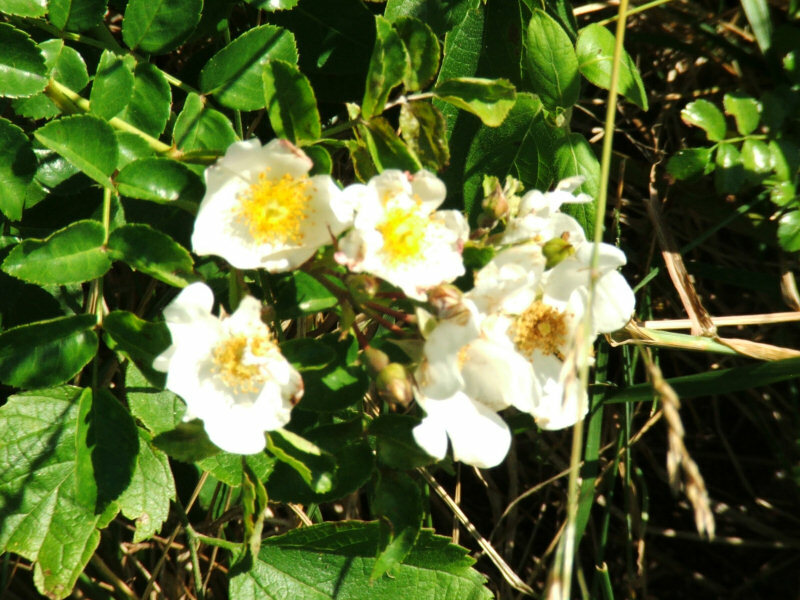 The remainder of the year the lighthouse is open 9 AM to 3:30 PM, Wednesday through Sunday (closed Monday and Tuesday). There is a $1 fee per person to enter the lighthouse from Memorial Day through Labor Day. Children under 12 are free and must be accompanied by an adult. Visitors can also catch the views from the top without climbing the 217 steps thanks to four cameras that transmit live images of the view to a display in the adjacent Interpretive Center. 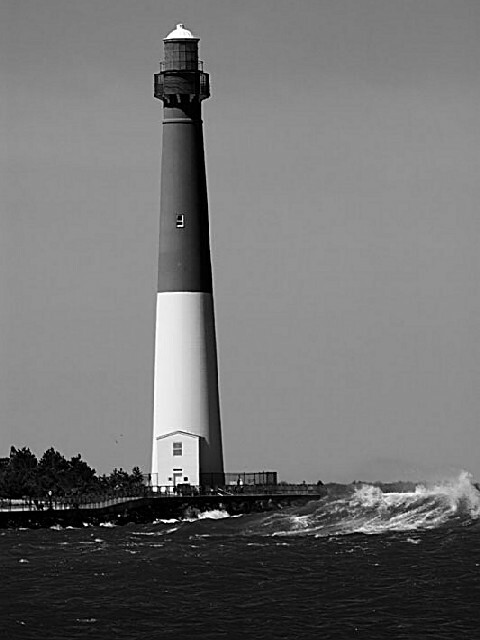 The ?Story of Barnegat Lighthouse? is showcased in the newly renovated Interpretive Center at Barnegat Lighthouse State Park, which is adjacent to the lighthouse. 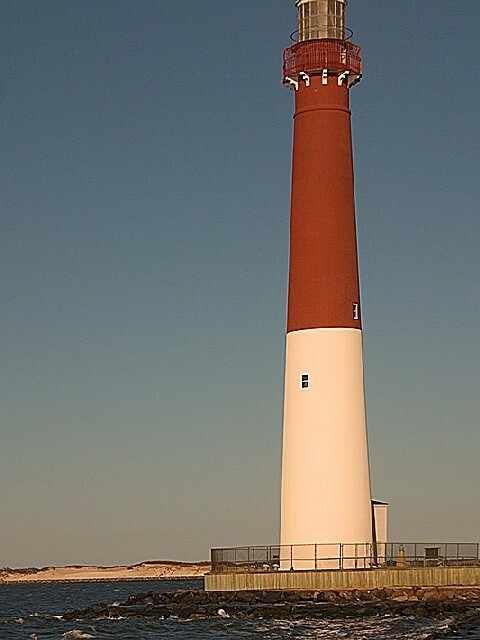 The Interpretive Center depicts the history of Barnegat Lighthouse from shipwreck, to first class seacoast light. Images and stories recount the vision of Lieutenant George G. Meade; the evolution of lighthouse technology; and the specific duties of Barnegat Lighthouse's keepers. 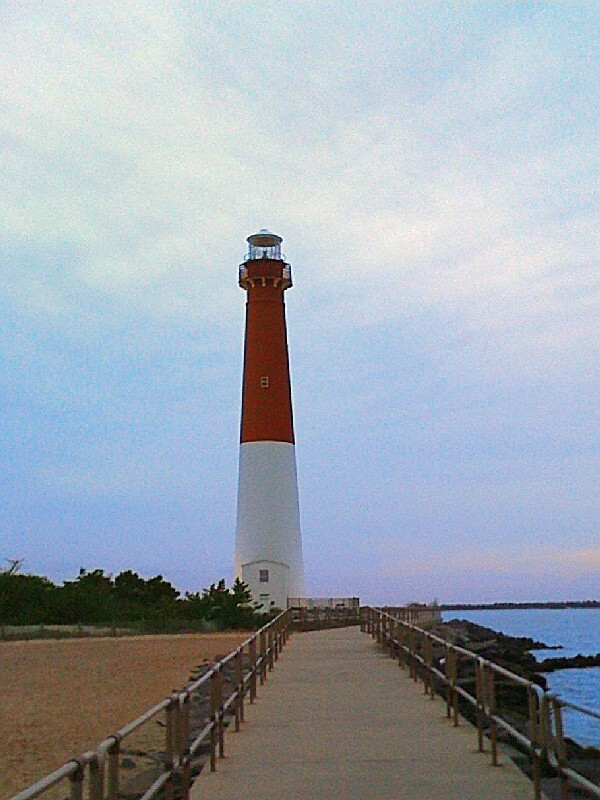 A large panel entitled ?Save Barnegat Light? 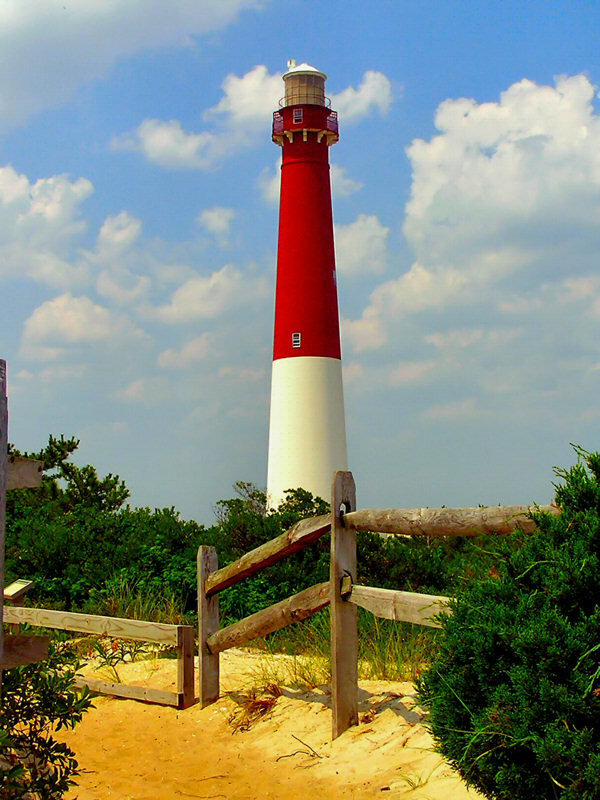 focuses attention on efforts of the local community and federal, state and local governments to protect the lighthouse from erosion and ultimate destruction. 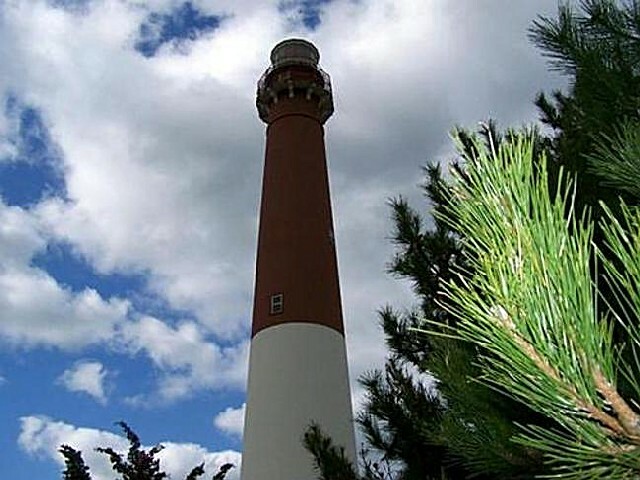 Visitors can learn about the changing nature of the coastline and the natural environment that surrounds the lighthouse, including Barnegat Bay, the Atlantic Ocean and the maritime forest. A gallery of historic photographs provides a glimpse of life at a lighthouse on the Jersey Shore in bygone days. These images portray the lure of the bay and the many ways people have used and enjoyed the resources of this region. For the hours of operation, please call the park office at 609-494-2016. We took our 4 children on day trips to the Lighthouse and now they take their children for day and overnight trips. As a child, my grandparents and parents took us to the shore all the time. My granddad and his friend would sometimes help out with the Keeping of the light.....All my ancestors are from the shore and I love it.......I wish I could get back there soon for a visit...as I miss it.